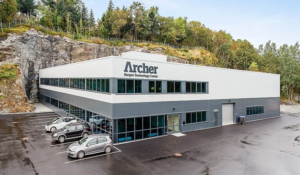 Bergen Technology Center AS (BTC) is developing state of the art technology for Archer Wireline and has more than 15 years of experience in developing, manufacturing and supporting ultrasonic logging tools for integrity diagnostics. 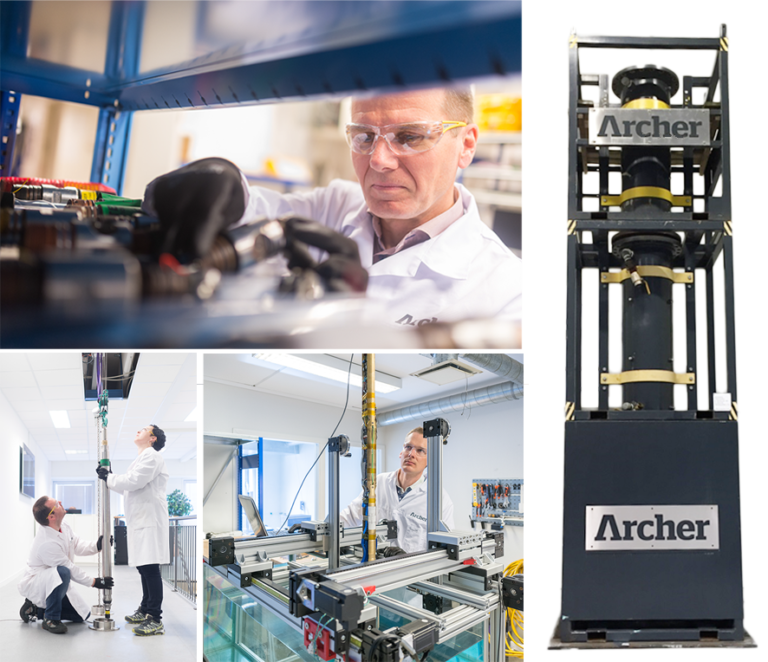 Following the reorganization into a technology center in 2012, the expanded R&D team is now able to do a significant part of the development inhouse. BTC’s office building at Midtunhaugen. BTC’s Facilities at Nesttun are custom built, finished in 2015, and is divided into a workshop and office building. In addition to offices, the new facilities include a production line, several special laboratories, a large workshop and a small test well. The workshop is equipped to make parts for customized test setups as well as modify and repair prototypes. In addition there is a small test well for experimentation and testing of the ultrasonic imaging tool. For environmental testing there are several ovens and a small pressure test setup for verification and testing in pressurized gas or liquids. In conjunction with the offices there is a fully equipped electronics lab as well as a robot controlled water tank setup for verification of acoustic performance of active ultrasonic tools. Remotely controlled heating oven for testing entire tools at high temperatures. Customized software as well as setups for environmental testing. Dedicated production area. Water tank setup for testing and validation of ultrasonic equipment. Small test well for logging parts of downhole jewellery with our ultrasound scanners. The new generation SPACE tools have an improved operational envelope, higher data acquisition rate and a robust proprietary high speed telemetry system. SPACE Panorama is scanning the internal surfaces of the well, creating 2D and 3D images of the well interior with the option of measuring the internal profiles and dimensions.